Redhead Music Online - Gold, Frankincense & Mirth! Music: All / Christmas (5-12s) / Gold, Frankincense & Mirth! Piano, guitar, vocals, solos, harmonies, instrumentals. 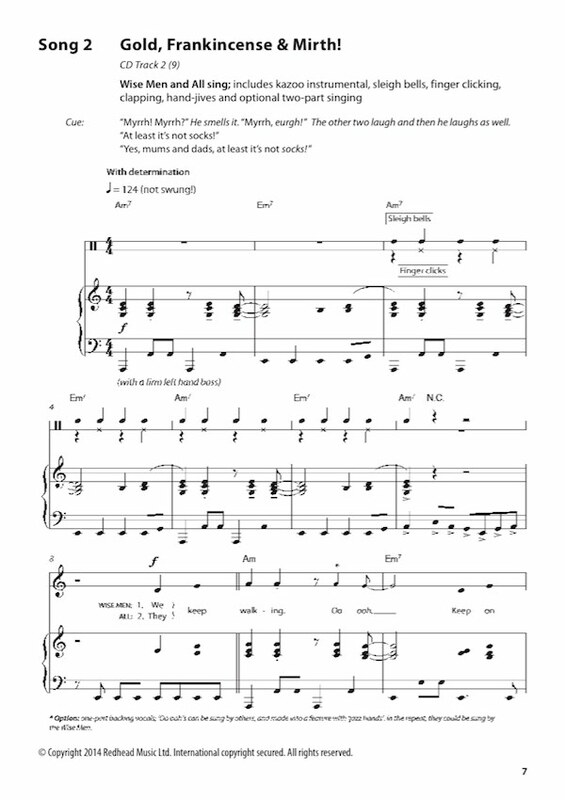 A Digital Download Print Pack contains a PDF of the Music Book and Wordbook. Wise Men & All sing; optional 2-part singing. Put Your Hands Together For Herod! Herod, Three Wise Men, Soldiers & All sing. Laughter is a precious gift! 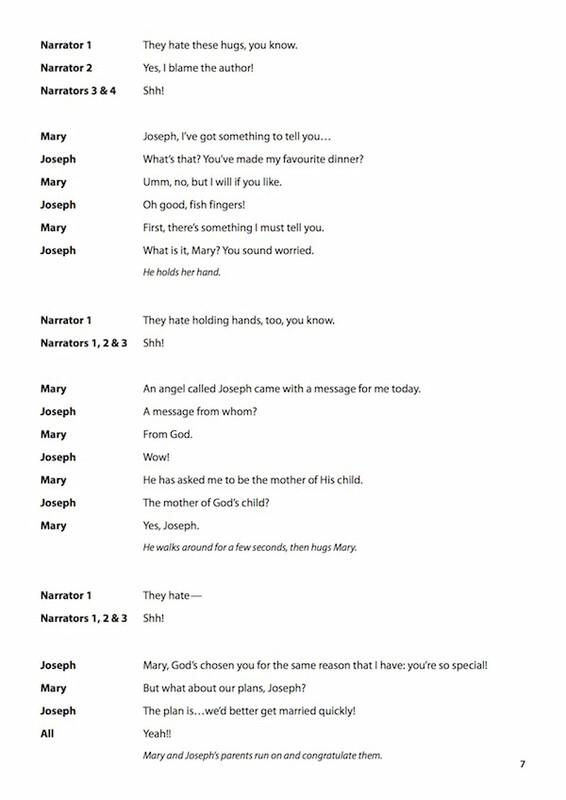 In this heartwarming new nativity musical, the wise men bring joy a-plenty, along with their more traditional gifts! Children will love the entertaining play and the seven catchy songs, including a hand-jiving finale; and the cool backing tracks. 'Gold, Frankincense & Mirth!' 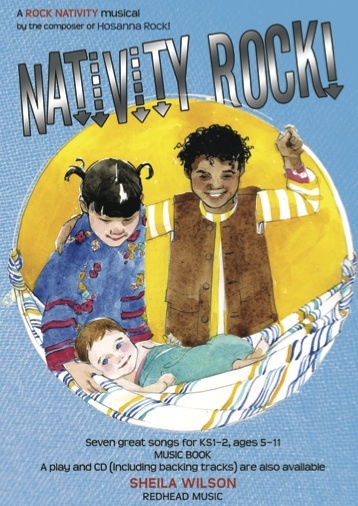 features all the favourite Christmas characters, from Gabriel to Herod, and creates a joyful, uplifting end-of-term celebration for children, teachers and parents. 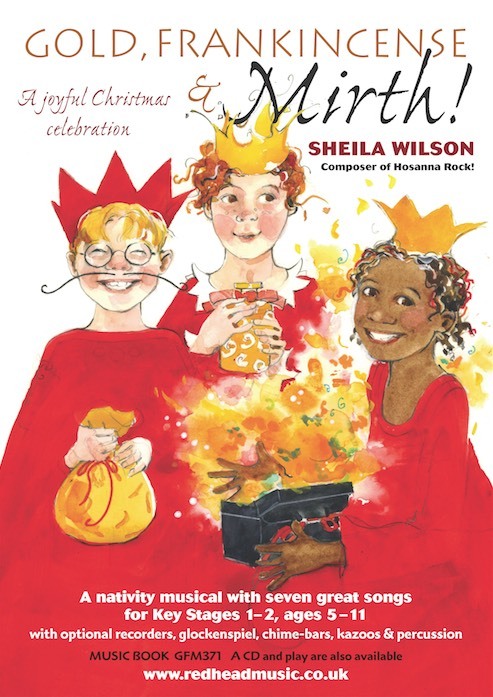 This great new musical from Sheila Wilson is perfect for KS1-2, ages 5-11. It's suitable for a cast of 30 or more, but very flexible for smaller groups of children, and as always comes with permission for you to make your own adaptations. 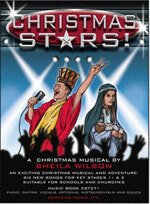 Songs include 'Bethlehem Blues', 'Put your hands together for Herod!' and 'This Amazing Night'. A perfect happy ending for the Christmas term! If you like Gold, Frankincense & Mirth!, you might also like these!